From now until May 14, you can grab a few AUKEY products on Amazon at discounted pricing, thanks to coupon codes. The products included in this promotion are all Quick Charge 3.0 compatible – a car charger, 6-power USB charger, plus a pack of 5 USB Type-C cables. 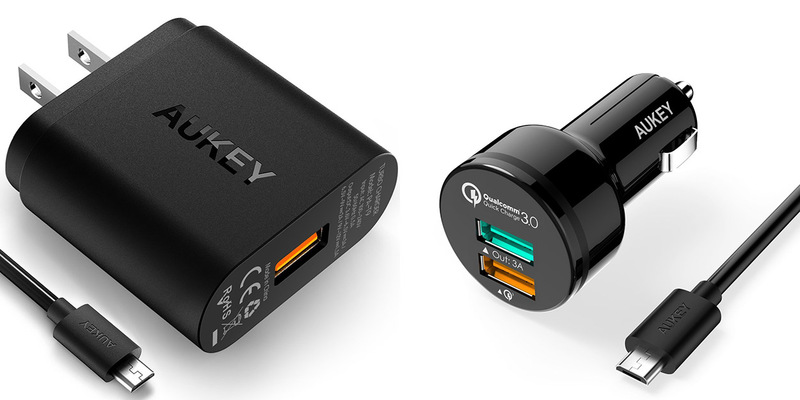 For fans of charging in the car, this Quick Charge 3.0 charger can be had for just $9, down from its usual price of $20. The 6-port USB charger, with dual Quick Charge 3.0 ports, is on sale for $25 down from $35. As for the USB Type-C cables, they are Quick Charge 2.0 and 3.0 supported with a compliant charger, but do note that they will not rapid charge a Pixel device or charge a new MacBook. Links to Amazon with the coupon codes you will need are right below.